Water wells are conduits between the land surface and the ground water resource. 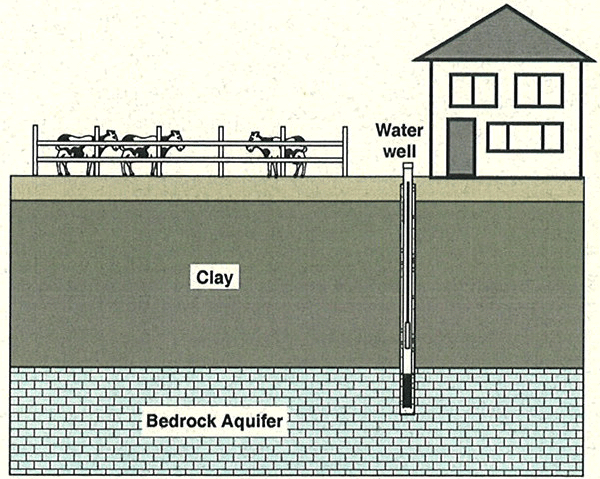 If not sealed or plugged properly, abandoned wells can contribute to ground water contamination. Common surface pollutants including animal and human waste, herbicides, pesticides, and fertilizers can take the path of least resistance down an abandoned well and into an aquifer (water-bearing formation). Abandoned wells can also be a serious safety hazard, especially for children. The 1988 Indiana water well drilling statute (IC 25-39) requires abandoned wells to be sealed at the surface or plugged with impervious materials. 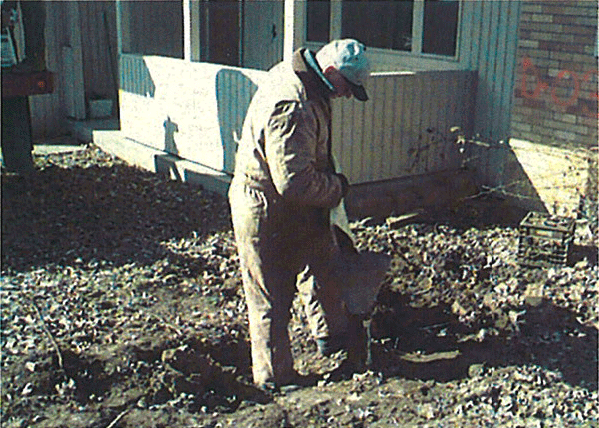 This brochure addresses the most common questions about abandoned water wells. Specific requirements for sealing or plugging abandoned water wells are listed in the Indiana Administrative Code, 312 lAC 13, Rule 10. 1) What is an abandoned water well? The original purpose and use of the well have been discontinued for more than five years. The well is in such a state of disrepair that using it to obtain ground water is impractical or a health hazard. 2) When must an abandoned water well be plugged? A water well must be plugged within one year after it is abandoned. The Division of Water urges landowners who decide to discontinue use of their water wells to plug them immediately. 3) Who is responsible for sealing or plugging an abandoned water well? Landowners are responsible to make certain an abandoned water well on their property is properly sealed or plugged. How the well is sealed or plugged depends on when the well was abandoned. Wells abandoned on or after January 1, 1988, must be plugged by a licensed water well driller in accordance with 312 lAC 13, Rule 10. A person may not be a water well driller in Indiana without a license. 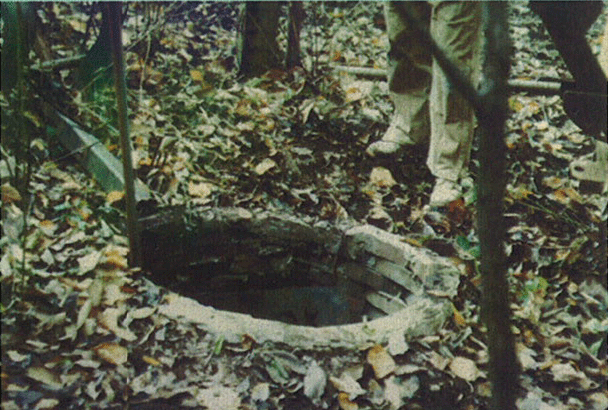 Wells abandoned before January 1, 1988, may be sealed or plugged by the landowner. However, the Division of Water recommends that all wells be plugged by a licensed driller. 4) What must a landowner do to seal or plug a well abandoned before 1988? Wells must be sealed at or above the ground surface with a welded, threaded, or mechanically attached watertight cap. The Division of Water recommends that the well also be completely filled with impervious grouting material as specified in 312 lAC 13. A well that poses a hazard to human health must be plugged with impervious grouting material. Bentonite material used for well plugging. Large-diameter hand-dug or bucketexcavated wells must be covered at the surface with a reinforced concrete slab or a treated wood cover protected by waterrepelling material such as roofing. The Division of Water recommends that the well also be completely filled with clean earth and impervious grouting materials as specified in 312 lAC 13. Sealing or plugging a water well may be difficult. Before attempting the job, a landowner should contact the Division of Water, or read the Purdue University Cooperative Extension Water Quality publication "Plugging Abandoned Water Wells: A Landowner's Guide" (WQ-21). This guide, written in cooperation with the Division of Water, is available online in PDF format from the Purdue Extension web site (http://.www.ces.purdue.edulextmedia/menu.htm). Search for it under Agricultural and Biological Engineering / Water Quality and Supply. 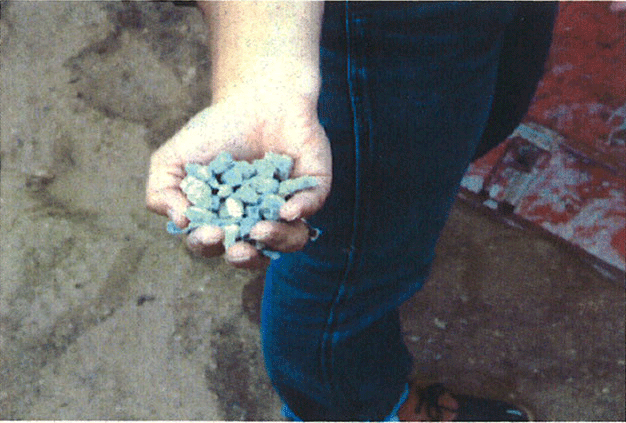 WQ-21 gives step-by-step instructions on how to seal, disinfect, and plug abandoned water wells. 5) Do I have to seal or plug a well that I intend to use at a later date? A water well that has not been used for more than three months, but is not abandoned, must be sealed at or above the land surface with a welded, threaded, or mechanically attached watertight cap. Abandoned water well being plugged by a licensed water well driller.